Georgian Bay Concert Choir is always looking for new members. Have the ability to read music? Previous experience singing in a choir is an asset but is not necessary. Choir fees are $225 for a full season, or $150 for a half season. Contact us for more information or to arrange an audition. 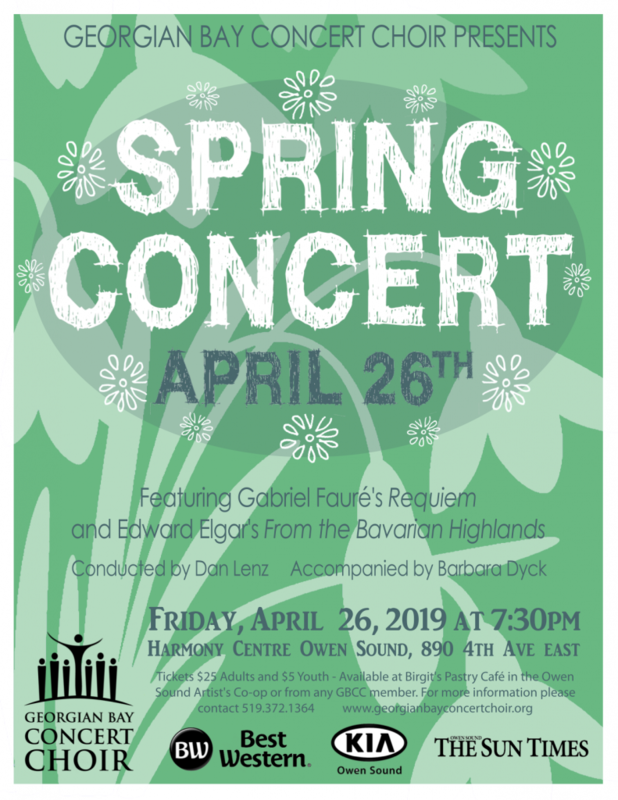 890 – 4 Ave E.
Tickets are $25 for adults or $5 for youth age 2-18 and are available at Birgit’s Pastry Café at the Owen Sound Artists Co-op. For more information please call 519-372-1364. Concerts are partially funded through ticket sales but we also welcome individual & corporate donations. .